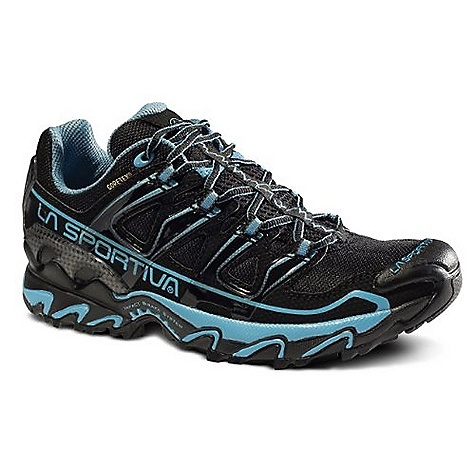 These shoes are great for trail running and hiking in rocky areas. 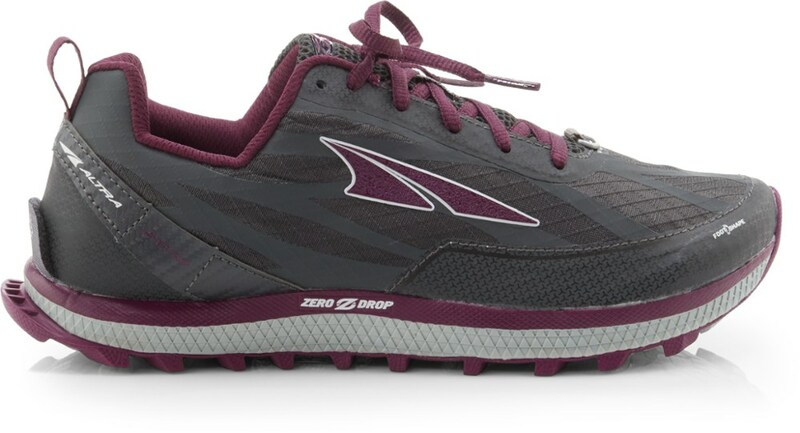 They are by far the grippiest shoes I have worn, and they seem to have good support in the soles to absorb impact on your feet too. Very comfortable. This shoe fits perfectly for me. I don't have the pickiest taste, but I prefer breathing room and wider fitting shoes. 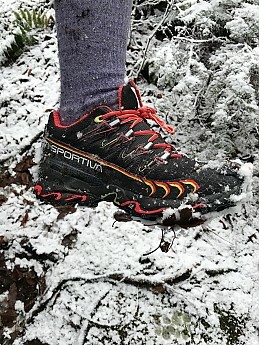 They have a bulkier/ heavier feel to them, which is good for support, maybe not so good if you are trying to go ultralight. 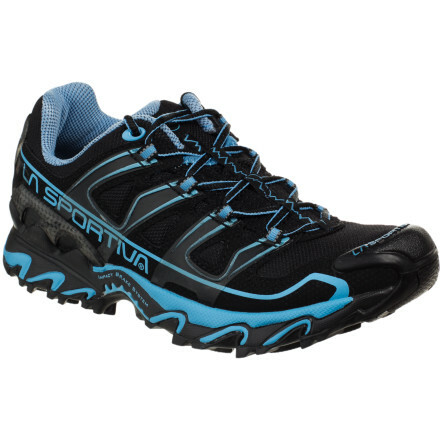 The sole support is thick and provides impact relief if you are running on hard rock terrain. 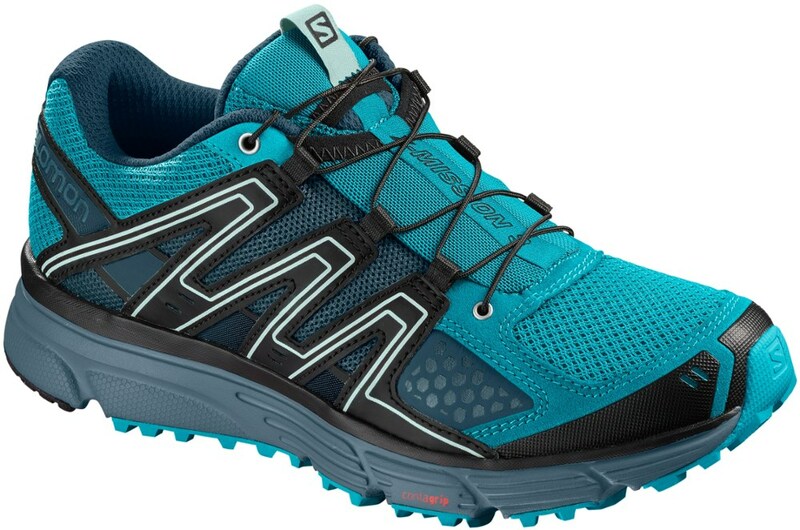 I do not know if these shoes are advertised as water resistant, but I can't think of a time I have had wet feet and thought it was because of the shoe's failure to keep water out. They definitely work to resist most rain water coming down. 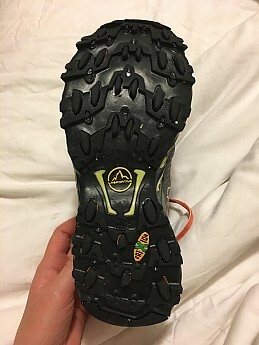 I usually am quite prone to slipping and losing my footing, but the rubber on the bottom of the shoe is so incredibly sticky that my confidence has risen significantly since wearing them. 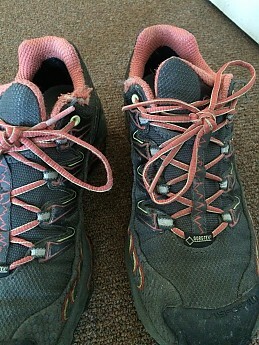 The laces are good, and have reinforced holes so I don't foresee those becoming a problem. 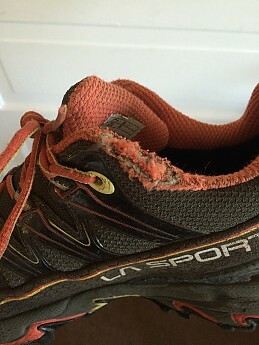 The durability of the shoes is a toss-up. 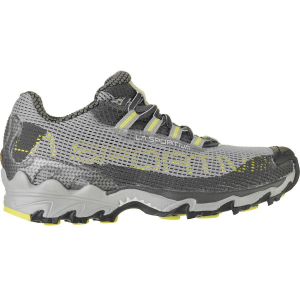 The soles of the shoes, which are the main feature of why I think these shoes are so great, are very durable. I have had the shoes almost a year, using them at least every other day. The treads barely show use, and the rubber is still as sticky. The rest of the shoe, however, doesn't seem to be as well constructed. The fabric near the the top laces started to wear on both sides after just a few months, which concerned me given the price of the shoes and the duration of time that I had been using them. But again, this is more aesthetic because they technically still function as they should, so it was a small let down. 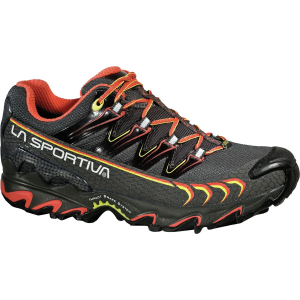 Overall, I have been using the La Sportiva Ultra Raptor GTX's for almost a year, and will probably continue to use them for hiking and trail running for their traction. Thanks for this helpful review of your Raptors, Molly. 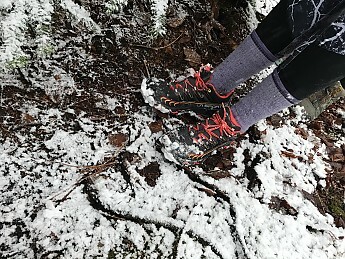 I also use LaSpo trail runners a lot. In reference to the wear, how many miles do you think you have on yours? Also, do you have any pictures of yours to share? Thanks for the info and pictures, Molly! I'm glad to hear the folks at LaSpo covered the warranty and that they're working out for you.